Mid-March, winners of the ACE awards took the stage at the Ernest N. Morial Convention Center in New Orleans. To enter, each contender was asked to identify the two events the company completed that it felt best represented the company, as well as challenges and favorite aspects. Throughout the year, Catersource.com will profile the winners and nominees of the 2017 ACE awards. In the next installation of our series, we are placing a keen eye on A Fare Extraordinaire who took the ACE award for Operations over $2 million in the West region. 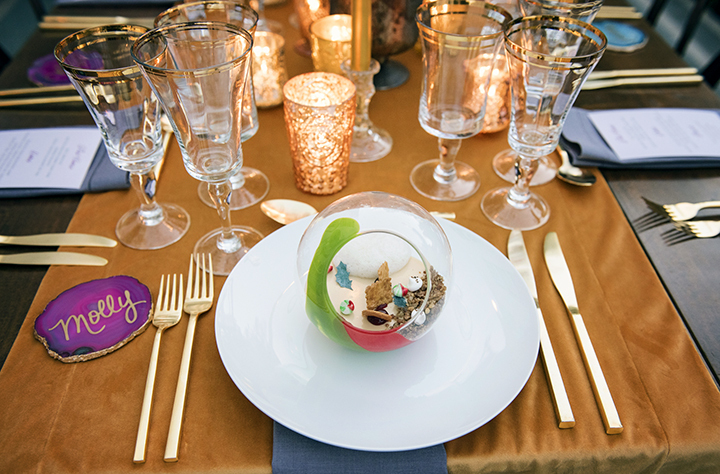 This private holiday soirée highlights the company’s ability to maintain a long-term client’s style while constantly providing their guests a unique and fresh event atmosphere. 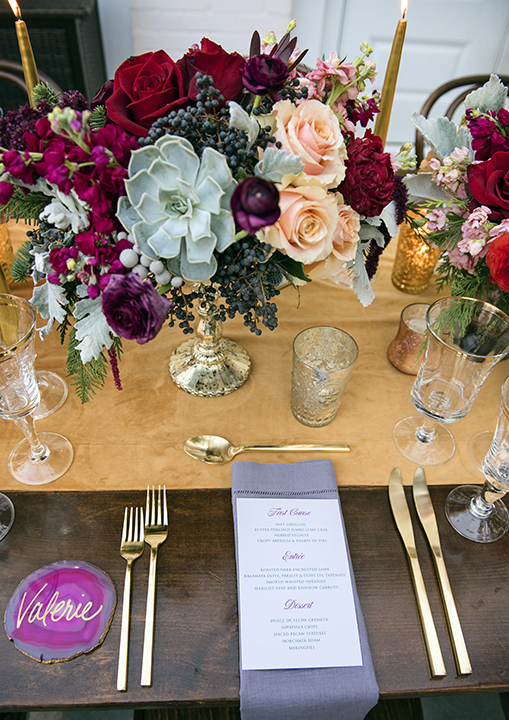 This intimate 20-person seated dinner is filled with unique and thoughtful touches. 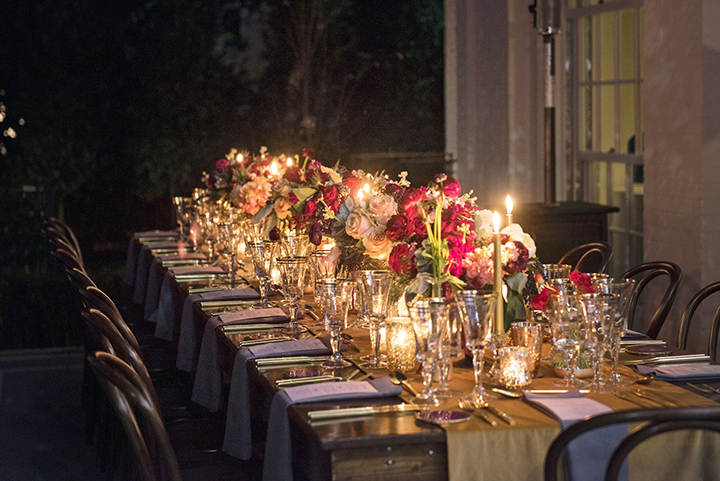 Entertaining often in this private home, A Fare Extraordinaire strives to provide the host and guests with a familiar yet unexpected backdrop at each event. 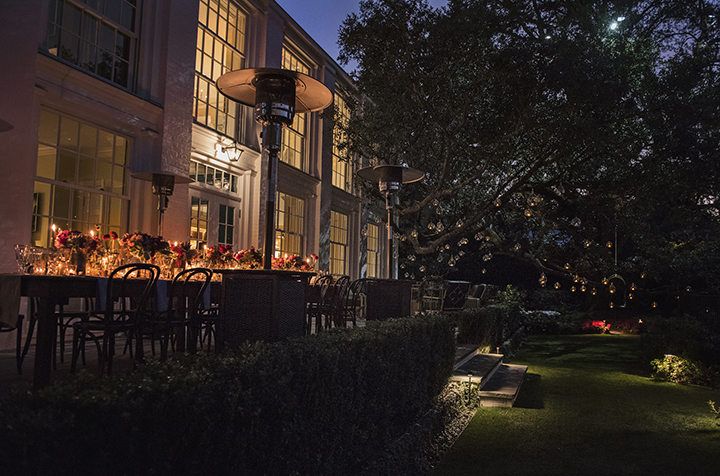 The lack of substantial existing lighting was the main planning obstacle for this al fresco December event. Foregoing an industrial lighting look, the company suspended small glass terrariums filled with tea lights from the client’s backyard oak tree, enriching the whimsical, ethereal theme. Varying heights of mercury glass candles, gold flatware, and gold-rimmed glasses added to the evening’s aesthetic. Another highlight of the night was the southern comfort-inspired menu and custom cocktails created by the company’s in-house mixologist. 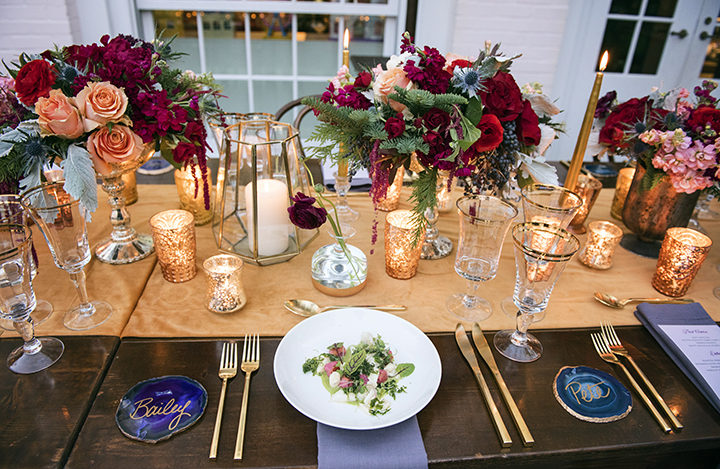 Guests were offered bourbon maple sours garnished with a spiced cinnamon stick and pomegranate punch accented with a fresh mint sprig. 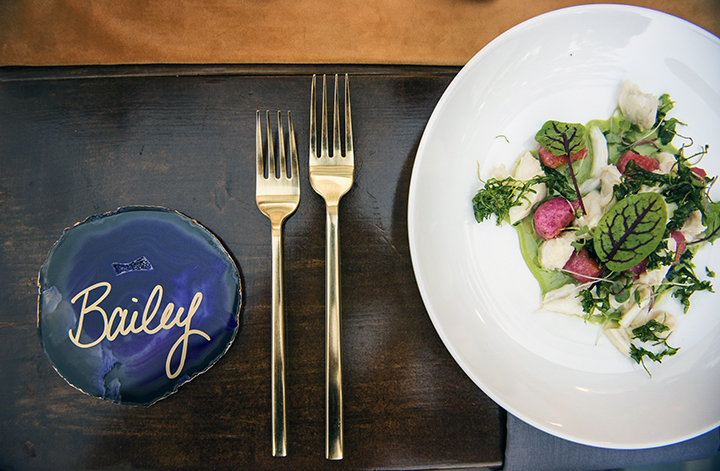 The bright pink beet gnocchi, herb veloute and jumbo lump crab meat presented a vibrant first course. 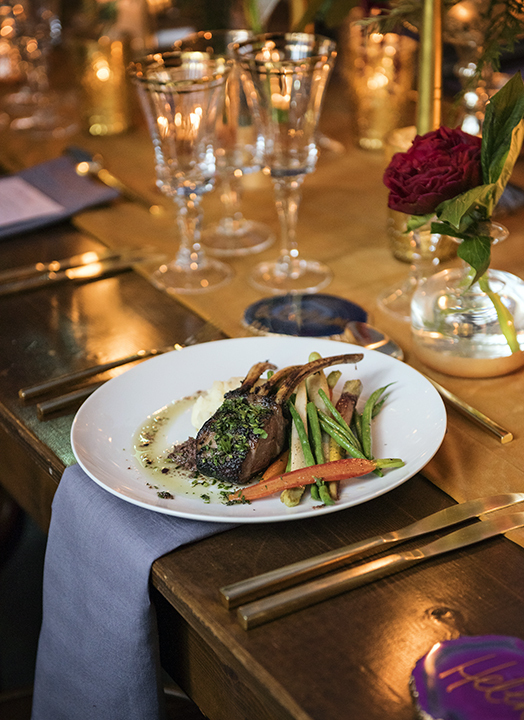 The bright green herb-encrusted lamb atop mesquite-smoked whipped potatoes added subtle southern flavor to the entrée. The dessert course was the show-stopper of the evening, eliciting gasps from the crowd as it was presented. 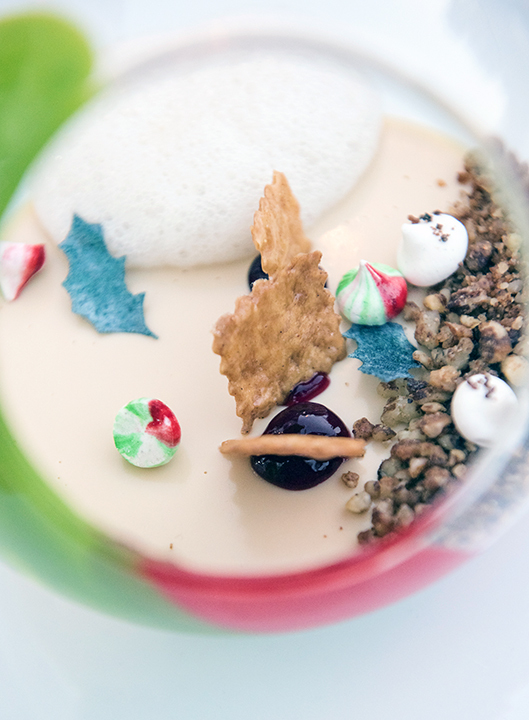 Pastry chefs utilized individual terrariums filled with dulce de leche cremeux to create a miniature winter scene for each guest. A Mexican hot chocolate and coffee presentation paired with chocolate-dipped spoons on a gold bar cart completed the evening. “Because of these countless detailed touches and our exceptional service, we were again able to exceed our client’s ambitious expectations,” said Montgomery.